The 54-year-old Uruguayan musician, who won an Oscar winner for composing the song “Al Otro Lado del Río” from The Motorcycle Diaries, proved to be the big winner at the 2018 Latin Grammys at Thursday’s awards show, which aired live from the MGM Grand Arena Garden Arena in Las Vegas on Univision. 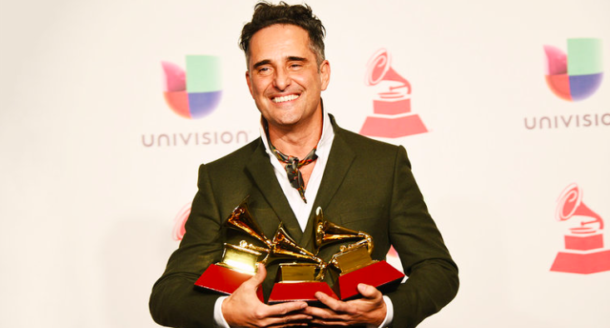 Drexler, who’d previously won two Latin Grammys in 2015, took home the Song of the Year and Record of the Year awards for his single “Telefonía,” as well as the Best Singer/Songwriter Album for Salvavidas de hielo. Drexler’s wins in the record and song categories came as a major surprise. He was up against favorites J Balvin — who had eight nominations — and Rosalía, whose captivating single “Malamente” was up for five awards. Also taking home two Latin Grammys was Victor Manuelle, who won Best Tropical Song and Best Salsa Album. It was, surprisingly, the first Latin Grammy wins for the 50-year-old Puerto Rican salsa singer, a veteran who has often been nominated. Mexican superstar Luis Miguel, who’s had an enormous resurgence following the successful mini-series based on his life, also won two awards for his album ¡MÉXICO Por Siempre! The set won Best Ranchero/Mariachi Album and, surprisingly, Album of the Year, a prize Luis Miguel hadn’t claimed since 2000’s Amarte es un placer. The 27-year-old Colombian reggaeton singer-songwriter, who skyrocketed to fame with her hit single “Mi Cama,” was named Best New Artist. Meanwhile, J Balvin took home the award for Best Urban Music Album for Vibras, while Maluma won the Best Contemporary Pop Vocal Album for F.A.M.E. 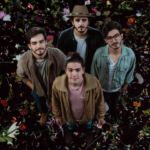 Tags: Al Otro Lado del Río, Amarte es un placer, F.A.M.E., Garden Arena, J Balvin, Jorge Drexler, Karol G, Latin Grammys, Luis Miguel, Malamente, Maluma, MGM Grand, Mi Cama, Oscars, Rosalía, Rosalía Vila Tobella, Salvavidas de hielo, Telefonía, The Motorcycle Diaries, Vibras, Victor Manuelle, ¡México Por Siempre!